Apart from all these things, there is one factor that plays an important role in keeping your customers walking in on a regular basis- Spa Design!! Some spa and salon owners feel that as long as they offer all the services that a spa should provide, they won’t have a problem getting more footfalls. But that is a fallacy. Current day clients can be extremely demanding and they want to ensure that they get value for every penny they spend. With this in view, if you want to increase your revenue, you also need to ensure that your salon looks good, functions well and is comfortable and welcoming. Therapy requirements- The internal layout of your spa will be dependent on the movement flow of the therapists. The treatment room, changing room, shower room and steam room, pedicure chair placement and the placement of all the other equipment should be planned in such a way that movement through these spaces is comfortable. The flooring should be low maintenance and your staff should be able to keep it clean without too much of hassle. It’s important that you actually visualize all the treatments as well as their flow and then keep the comfort factor in view while you are designing these spaces. Furniture- Choose this with care and ensure it’s proportionate to the available space. You will first have to ensure that there is sufficient space for the pedicure chairs and the other equipment; once that is planned well, the rest of the space and furniture design and placement can be planned around these essentials of a spa. Safety- This factor is of utmost importance; you need to ensure that all the equipment is safe for use and that all the electrical connections are installed well. You should also ensure that the shelves and any show pieces aren’t placed anywhere near a pedicure chair or massage table. 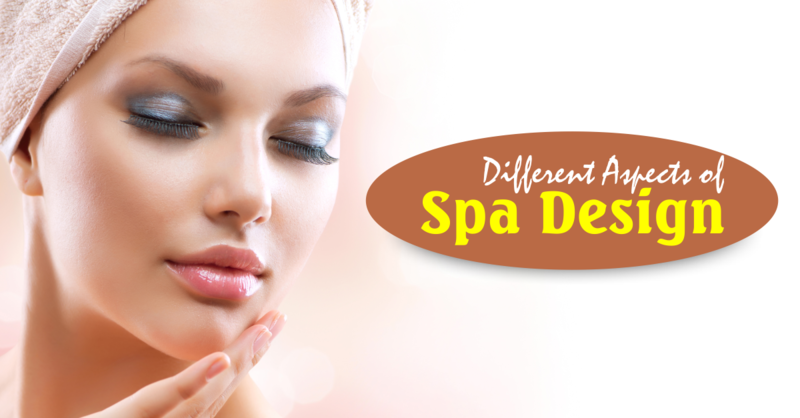 The ambience of your spa should be comfortable and not too overdone. You can have the simplest furniture and interior design and décor features and still create a stunning spa that will compel your clients to relax.